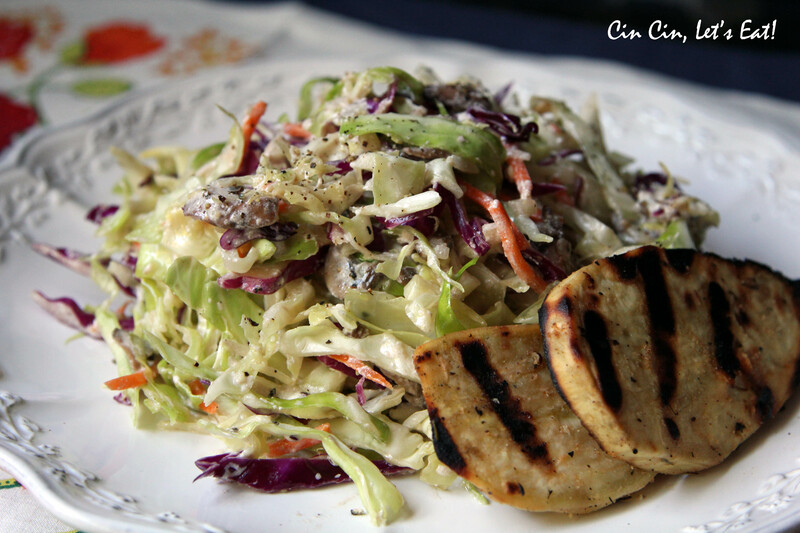 Warm Cabbage Salad [recipe] – Cin Cin, Let's Eat! I’m obsessed with warm spinach salad. If it’s on the menu, I will order it. I mean, what’s not to love? Baby spinach, fatty bacon or lardon, slices of hardboiled egg, and that warm bacon and shallot vinagrette! 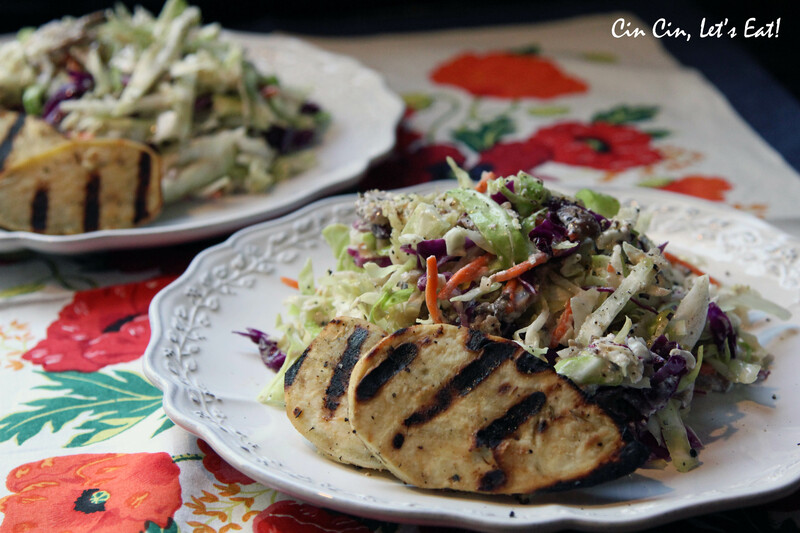 A couple weekends ago, I had my first taste of a warm cabbage salad, and I immediately fell in love with it. We celebrated one of my closest girl friend’s birthday over brunch at Town in San Carlos, California. The food was a solid A, not to mention the bottomless mimosa for $15. Reservation is definitely recommended as the place was packed. Oh and the chicken and waffles dish on the brunch menu is not to be missed! I went home and immediately looked up some recipes for warm cabbage salad and I was thrilled when I found Town’s recipe online, but at the same time I was slightly put off due to the amount of butter (for the crouton), oil, and cheese. Don’t get me wrong, I am all for delicious bacon and bleu cheese, but I’ve been eating out so much lately that I feel the need to make healthier food when I cook at home. I came up with this healthier version that tasted just as delicious as the one we ordered at Town. 1 pound of medium-sized mushrooms (Button or Crimini), sliced thin. *I buy the prepack coleslaw mix from Whole Foods, it’s about 1 lb in weight, and contains only red and green shredded cabbage and carrots. It’s perfect for this dish. Note: It’s very important to prep all your components first so they are ready to go when you need them. 1. To make the red wine vinaigrette: In a blender, add red wine vinegar, chopped shallots, black pepper, and mustard. Turn on the blender and slowly add the canola oil. You will probably only need ½ of this dressing. 2. 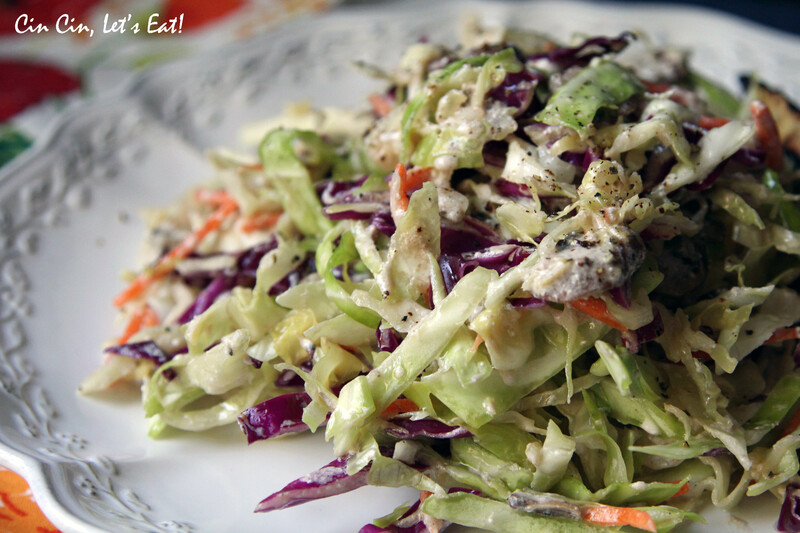 Place shredded cabbage in a stainless bowl. 2. Heat olive oil in pan over medium high heat. Add the mushrooms and garlic, sauté for one minute, add ½ cup of red wine vinaigrette. 3. Add the ricotta cheese into the pan, then immediately pour contents of pan into the napa cabbage. 4. Put the metal bowl on the stove over medium-high heat. Use an oven mitt because the bowl will get HOT. Toss the salad until warm (not hot), about 30 seconds. 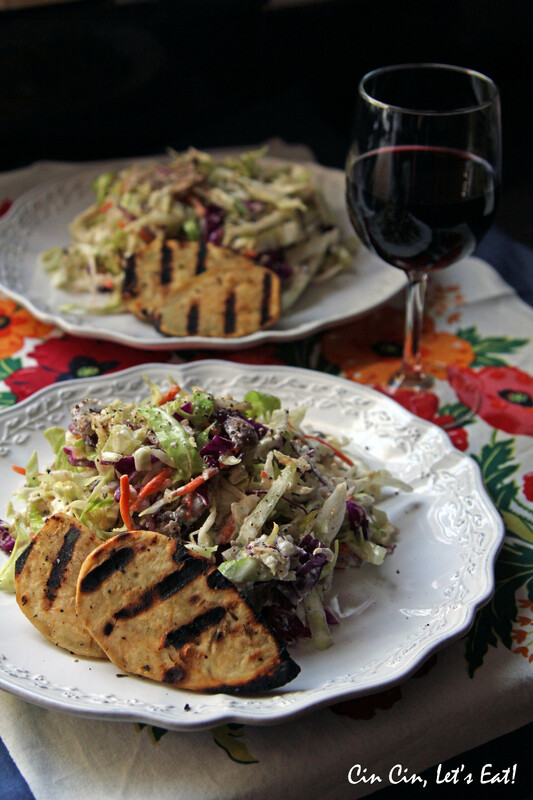 The salad tastes perfect on its own, but if you need a protein, trim down the serving size of the salad and serve it with some grilled chicken, pan seared salmon or steak slices. I enjoyed my lunch with some grilled sweet potato. Oh, and a nice glass of Malbec too! After going over a few of the blog articles on your web page, I really like your way of blogging. I added it to my bookmark webpage list and will be checking back soon. Take a look at my website too and tell me what you think.